I am beginning a new series for my Facebook Page (https://www.facebook.com/earlenerentz) called “What were you thinking?” If you go to my website (https://www.earlenerentz.com), you will see a Facebook icon at the top. In this new video series, I am actually going to discuss my thought process as I was creating a piece of music. In my case, it will either be an original setting of choral music or an arrangement. As I have presented clinics over the country, I have noticed that when I tell the singers exactly what I was thinking, they actually sing the piece with a greater understanding of “where we are going.” They sing better! I understand that for most of us, when we get in front of a group of singers, we all actually give “composer’s intent” a hit-and-miss attempt…unless we speak with the composer understand how the composer was thinking…and even with all of that research, musicians bring their own unique qualities and understanding to the podium, and I am fine with that. It is important to me that all musicians who sing my music retain their own unique musical understanding, while also considering my thoughts as well. 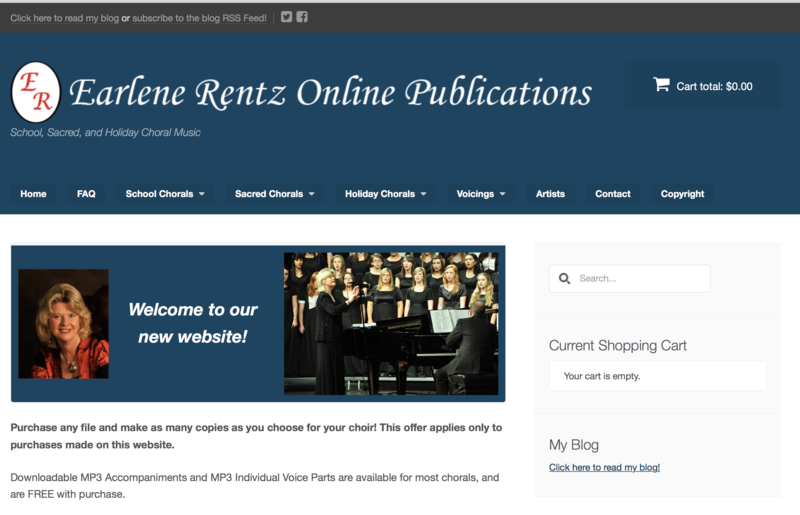 We are all creative …we are striving for excellence in choral music performance. I was reminded of this a couple of weeks ago when I was told that an entire rehearsal was stopped for 20 minutes or so, with discussion regarding who was to sing “the note with the stem down.” While I appreciated the care and respect with which the piece was regarded, my opinion was that someone should sing all the notes, whomever that might be. Sometimes there are interesting stories and thoughts that have gone into writing music, and I try to use every available creative thread in myself to bring out all I can possibly drain from the text. I start with the text, and text is “king” for me. Without the words, I would probably write no notes at all. I must have the text to get started and move the piece toward its most powerful moment. I will also give updates of the videos that have been produced on this blog site, if you are no longer using Facebook. It is the place where longer videos can be uploaded. Enjoy “What were you thinking?”….I will enjoy providing these insights. Previous Post: Now This is FUN! !